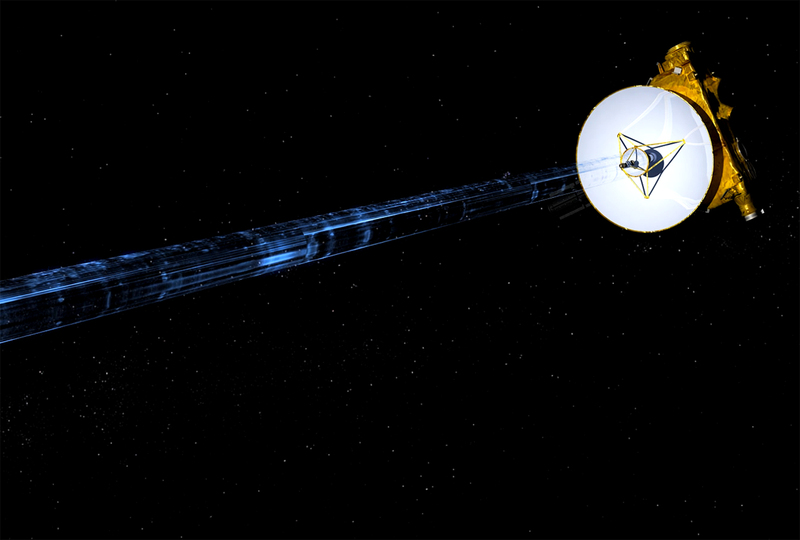 It was two years ago today that NASA’s New Horizons spacecraft became the first-ever probe to visit Pluto in the cold, outer fringes of the Solar System. To help celebrate the occasion, NASA has posted a new video of the epic flyby, when the spacecraft soared over the tall mountains and vast icy plains of this small but active world. Moons are exceedingly common in the Solar System – Jupiter alone has 67! But smaller planets do as well of course, except for Mercury and Venus, and even some dwarf planets and asteroids have moons. This includes dwarf planets such as Pluto, which has five moons despite being so small itself. Most of the larger dwarf planets are now known to possess moons, and now another one has been discovered, by the Hubble Space Telescope and two other telescopes, orbiting the third largest known dwarf planet known as 2007 OR10. Pluto is a tiny world in the outer fringes of the Solar System; for many decades it was only a mere speck of light in even the best telescopes, with only vague hints of surface features. Then, in July 2015, the New Horizons spacecraft flew past Pluto, the first time ever that humanity would get to see this mysterious place up close – and it did not disappoint. 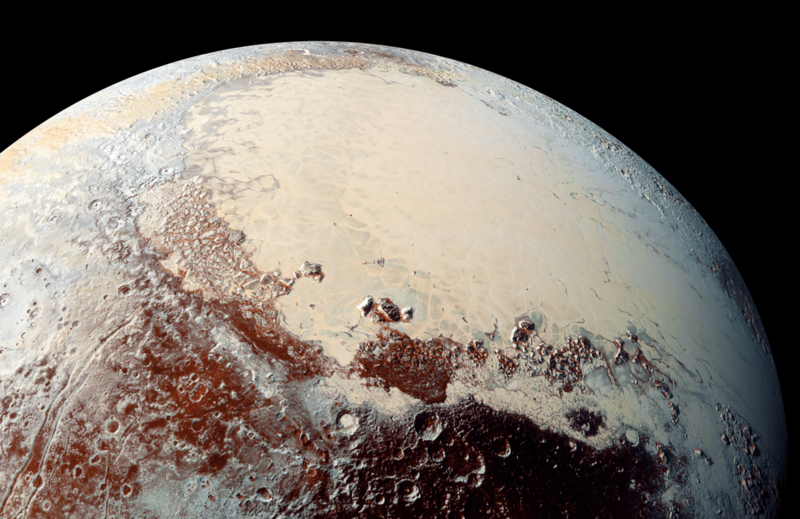 An enormous amount of data has continued to be sent back by New Horizons since the flyby, and now five new papers have been published which provide an in-depth overview of the findings so far about Pluto and its moons. Pluto is an active world, with its own unique geology different from anywhere else in the Solar System.